In conjunction with our Club Event at the New Town Triathlon, we have another deal for you!! A special $10 off discount code that is good for up to three individual swims – that’s a 50% savings on each swim!! 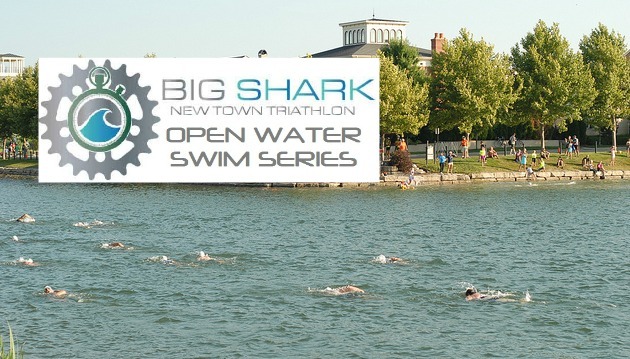 Big Shark and the Tri Club want you to practice your open water swims and then come out and race or volunteer at New Town on July 7 & 8. Click here for the full schedule of swims between May 5th – June 23rd and to register for the swims. Use the discount code below and please read the instructions carefully for how best to use it. What if we signed up before today? Is there a way to be reimbursed, or get a free day to compensate? Dana, if you haven’t signed up for the entire series, you can use the code when you register for later New Town swims throughout May and June.